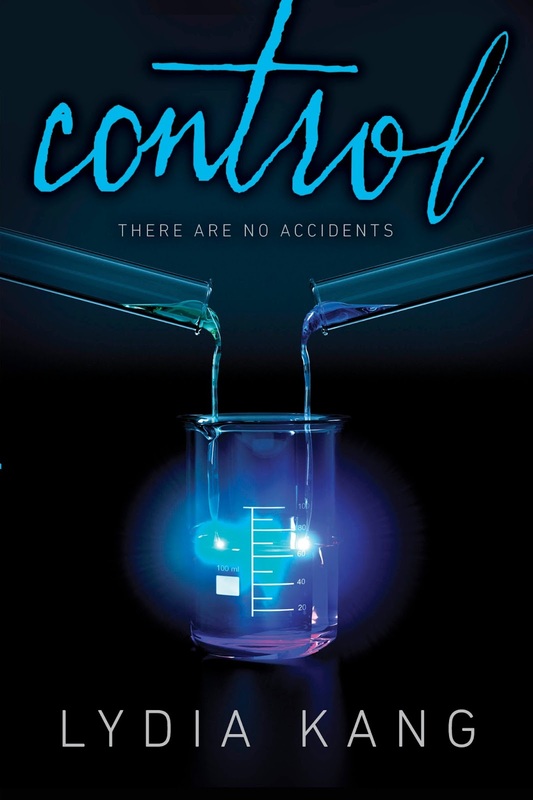 Summary: Set in 2150 — in a world of automatic cars, nightclubs with auditory ecstasy drugs, and guys with four arms — this is about the human genetic “mistakes” that society wants to forget, and the way that outcasts can turn out to be heroes. When their overprotective father is killed in a terrible accident, Zel and her younger sister, Dylia, are lost in grief. But it’s not until strangers appear, using bizarre sensory weapons, that the life they had is truly eviscerated. Zel ends up in a safe house for teens that aren’t like any she’s ever seen — teens who, by law, shouldn’t even exist. One of them — an angry tattooed boy haunted by tragedy — can help Zel reunite with her sister. Review: I think the balance of the science-fiction and dystopian genres in Control was a little off for my tastes. I prefer my science fiction books to have a lot more emphasis on the puzzle-solving part of the science, especially for the reader. I want to be able to piece together clues and spend less time in lab accidents. There was too much time spent on trying to get a good copy of Dylia’s DNA instead of experimenting with the stuff that’s important in the final act. I also prefer my dystopians to focus a lot more on how evil society has become—not that there aren’t plenty of ways in which the government in Control is horrible—but Zel isn’t even really aware that she should be concerned about anything until her sister is kidnapped. The scope of the story was also surprisingly narrow; part of the draw of speculative fiction for me is exploring a different world, and Zel spent much of the book in a single building. On the other hand, I was thrilled that the driving force of this entire book is Zel’s desperation to rescue her younger sister. Maybe it’s the big sister in me—I’m the eldest of ten children—but any time the older sister or brother is on a mission to rescue her/his siblings, I’m definitely going to be rooting for her/him. I do wish we had gotten to see more of Zel and Dylia in their normal sibling relationship before the death of their father or afterwards in their shared grief. I wanted to miss Dylia as much as Zel did, and for a while I felt more like I missed the idea of her than the actual character. Still, the goal to rescue Dylia (and the multiple deadlines involved in the process) kept the plot moving at a fast pace. Some of the most memorable parts of the book involved the day-to-day interactions between Zel and the inhabitants of Carus. I took particular delight in her almost-frenemies relationship with Vera, and any of her encounters with Ana were all the right sorts of creepy. Cy, Zel’s romantic interest, was the sort of cold and standoffish hero that I actually cheered for. The two of them made a cute pair, and they had some excellent makeout scenes. The slow-building attraction between Zel and Cy was a lot of fun, and I liked that it took a while for them to open up to each other. Zel was a clever heroine, but most of all I appreciated that she frequently called people out on their crap. I also enjoyed that Lydia Kang made Zel’s condition—a somewhat fictionalized Ondine’s curse—an important part of the story. It could have easily been handled poorly, but Kang did a great job showing how Zel managed her condition and how it affected her life. The final act is filled with a few unexpected plot twists (one of which completely blindsided me) and a lot action. It was a great way to show off everything Zel had learned through the course of the book, including some things I hadn’t anticipated would be important to the plot again. I always appreciate it when an author can take something from a romantic scene and turn it into a key part of the action later on, so nicely done. Recommendation: Borrow it someday. If you’re looking for a fast-paced dystopian book with a fun premise and a heroine who know what she wants and goes for it, then you should give Control a shot. It’s an interesting start to a series, and I look forward to the second book, which will be out in 2015.